Pets are an integral part of many families, and just like people pets need to see a doctor too. 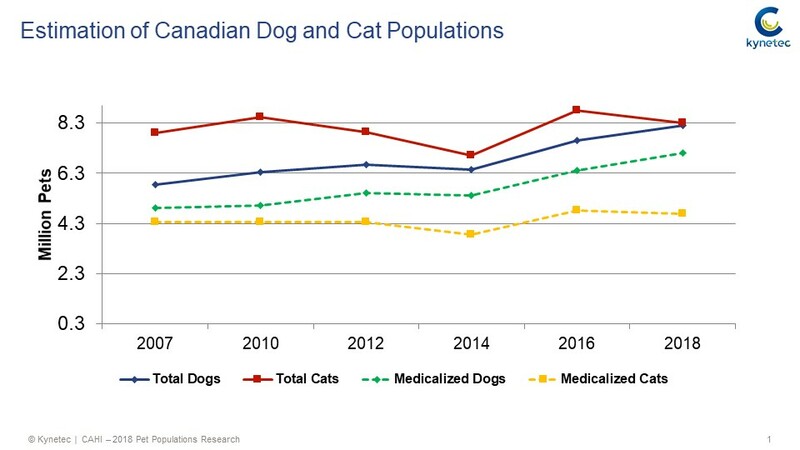 A 2018 survey of Canadians conducted by Kynetec on behalf of the Canadian Animal Health Institute revealed that 41% of Canadian households have at least one dog, giving us an estimated population of 8.2 million dogs. Meanwhile, 38% of households have at least 1 cat, giving us an estimated 8.3 million cats living in Canadian homes. Unfortunately the total number of annual checkups, as reported by pet owners, does not equal the same number of dogs and cats in our care. In 2018 only 86% of dogs and 57% of cats saw a vet at least once a year. This trend has been consistent over the last 10 years. Advice on the best flea and tick control products for your pet based on lifestyle. Despite the success of preventative measures like vaccines, pets can still get sick and require treatment. Scheduling an annual veterinary exam, for every pet, to detect and correct potential health concerns is essential. Veterinarians and their health teams play a critical role in ensuring our pets’ optimal health, especially since pets often cannot tell us when they do not feel well. Pet owners can ensure they support and promote the health of their pets by working with a veterinarian to assess their individual health needs.